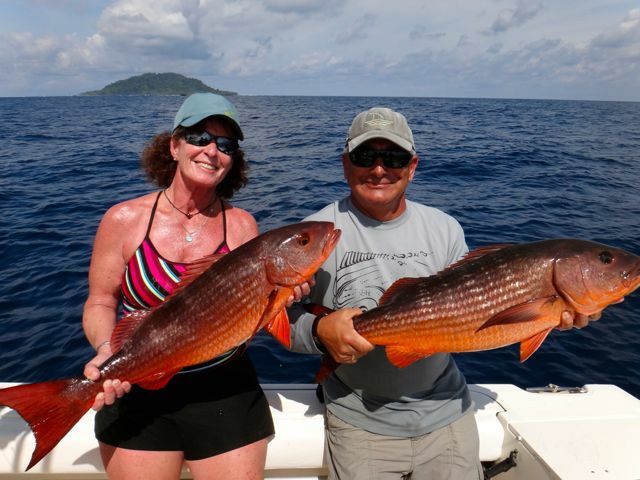 Last year March 2013, my husband and I were looking for an exceptional special fishing trip to celebrate our 20th anniversary. 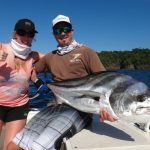 After much extensive internet research, I came up with Come Fish Panama as an affordable fishing trip. I read several reviews which sounded positive, so I trusted my gut and went with them. My husband did most of the contacting and flight, connection, and fishing arrangements with Kerry via email and phone calls. He was so helpful and personal in helping us get flights and connections arraigned. Kerry personally picked us up from the airport in David, Panama and on the drive to our hotel, he was very interested in what we wanted to do as far as fishing, and what our expectations were so that he may plan the next few days for us. 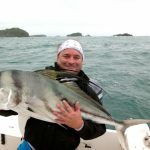 Last March fishing was not red hot, but Kerry and his mate Jose did everything everyday to put us on fish. If one thing wasn’t working, they immediately tried something else and so on it went for the next three days. 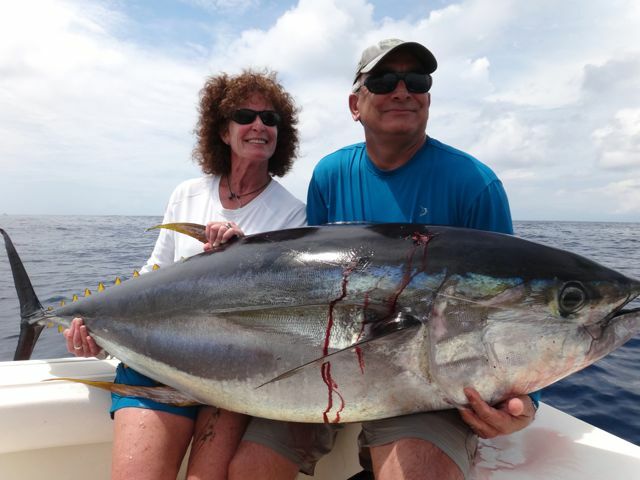 We managed to land a huge Black Marlin, which was a thrill for my husband, and our first Yellowfin Tuna weighing in at a healthy 100 lbs. 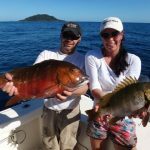 We are avid fishermen, so understand that expectations may be high, but the fish often have other ideas. Just because you spend a lot of money, it doesn’t guarantee a good bite. Kerry also went out of his way to help my husband with plans to surprise me in the room with roses, candy, and wine which is something he certainly didn’t have to do. As if this wasn’t enough, our last day in Panama Kerry was our officiant in our 20 year vow renewal ceremony after a long day of fishing. Needless to say, when time to plan this years vacation, there was no question of where we would go. Couldn’t wait to get back and fish with Come Fish Panama again in the most beautiful place on earth. Kerry was there again to help secure all reservations and help with airline connections, and help solve any obstacles we ran into while planning. 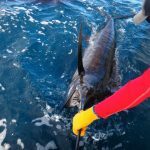 Again we arrived in April of this year with high hopes and expectations of our fishing experience. We had the time of our lives. I was worried our previous trip couldn’t be topped, because we had such a good time, but my worry was unfounded. Captain Jose and mate Michael were excellant in putting us on fish for 4 days. We caught tuna from 80-200lbs, Mutton Snapper, enormous jacks and various other species. These guys did whatever they could to put us on fish. If one thing wasn’t working they would switch their MO. When fishing slowed down for tuna, we immediately went over to try for bottom fish and visa versa. If fish were’nt bitting, it had nothing to do with lack of effort from the captain or mate. 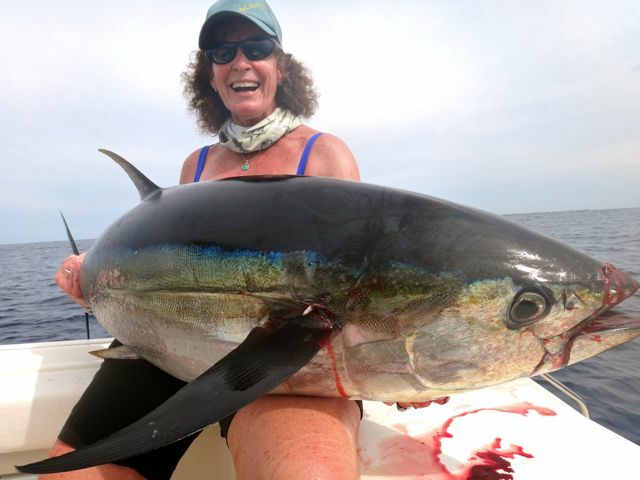 We fish in florida every weekend of our lives, and know when people are just “winging it”. These men were total professionals and know the area and the fish better than anyone could. As far as the “lack of english” as mentioned in a few previous reviews, My husband and I never felt it was a problem. We are in THEIR country, so my expectation of them speaking my language, was small. It didnt matter. We all spoke “fishing” and in any language, fishermen understand each other. 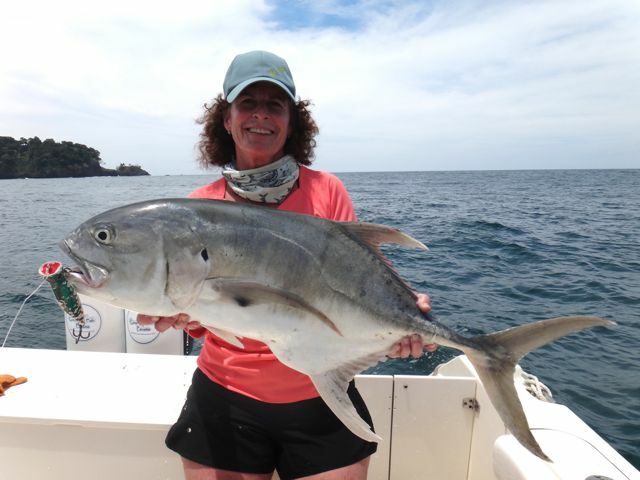 If you are considering a trip to Panama with the best chance to catch fish, Don’t look farther than Come Fish Panama. It is well run, organized, and a top rate operation. We cant wait to go back for trip number THREE!!! Thank you for our fabulous memories, and we treasure you as our new friends as well. Hasta Luego CFP!